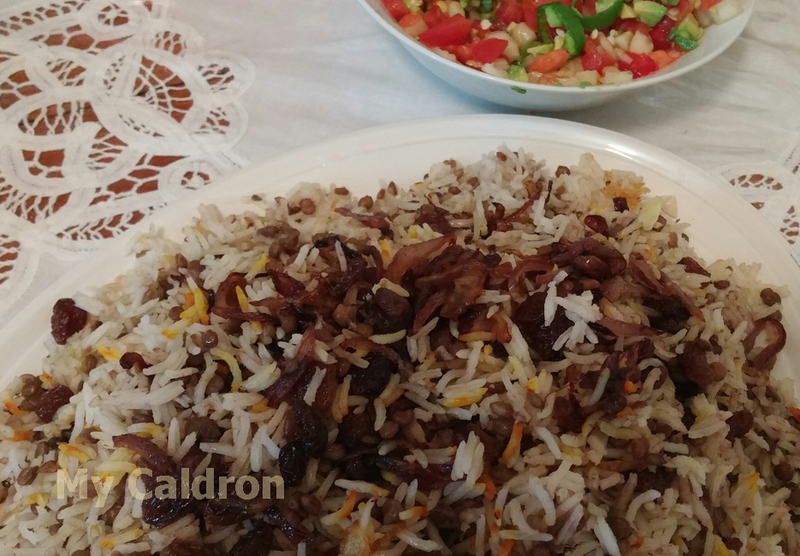 This is another popular and hearty “mixed polow” usually served with fried or roasted chicken (or ground beef) and considered a casual and convenient dish. Well, I make it in a quite presentable (read fancy) way, without any kind of. Even before I realized how protein rich and nutritious lentil was, I always thought the dish is a perfect vegetarian meal and found it quite hearty on its own. So, my version of “adas polow” is meatless yet simply fancy!